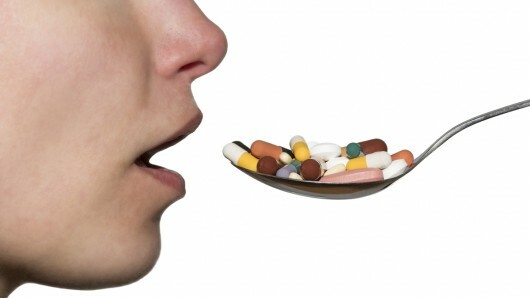 India is considered one of the largest consumers of antibiotics. Data collected from private hospitals (tertiary care, secondary care) and diagnostic laboratories shows that the overall consumption of antibiotics in 2010 itself was 13 billion units with the average consumption per person being 10.7 units. The sales of antibiotics are continuously increasing in India. The consumption, therefore, must have increased much more thereafter. There is a widespread misuse of antibiotics with about 80% of antibiotics being used outside of hospital settings in India. Private sector supplies newer variety of antibiotics in comparison to public sector. Inappropriate use of antibiotics has been noted for self limiting diarrheal infections, cold and cough, and also for infections not caused by bacteria such as malaria, influenza and dengue, which do not need an antibiotic prescription at all. Since there is a direct relationship of increased consumption of antibiotics on increased development of antibiotic resistance, prudent use of antibiotics is essential for controlling resistance development. It is therefore an important duty of all of us to create awareness among general public and also among health care providers –Doctors and Pharmacists- about the detrimental effects of improper use of antibiotics. If large scale resistance development takes place, Antibiotics will not give desired results, Patients will not be cured of their diseases, injuries, post operation recovery from surgeries etc. So Do Not Use Antibiotics in self limiting diarrheal infections, allergic cold and cough, and for infections not caused by bacteria such as malaria, influenza and dengue. 1. Van Boeckel TP, Gandra S, Ashok A, Caudron Q, Grenfell BT, Levin SA, et al. Global antibiotic consumption 2000–2010: an analysis of national pharmaceutical sales data. Lancet Infect Dis. 2014. 2. Kotwani A, Holloway K. Trends in antibiotic use among outpatients in New Delhi, India. BMC Infect Dis 2011; 11: 99. -Antibiotic resistance calls for better diagnostic labs. -Antibiotic resistance in pathogens causing urinary tract infections in India. -Antibiotic resistance pattern of group-a beta-hemolytic streptococci isolated from north Indian children. -Emerging antibiotic resistance in bacteria with special reference to India. with ulcerative colitis using RT-PCR. -Detection of extended spectrum beta-lactamase from clinical isolates in Davangere. -A study on nosocomial pathogens in ICU with special reference to multiresistant Acinetobacter baumannii harbouring multiple plasmids. -Enterococcal infections & antimicrobial resistance. -Changing pattern of Clostridium difficile associated diarrhoea in a tertiary care hospital: A 5 year retrospective study. -Antibiotic sensitivity pattern in cases of enteric fever. -Functional assignment to JEV proteins using SVM. -High rate of mutation K103N causing resistance to nevirapine. -Increased prevalence of extended spectrum beta lactamase producers in neonatal septicaemic cases. -Correlation between biofilm production and multiple drug resistance in imipenem resistant clinical isolates of Acinetobacter baumannii. -Detection of Pseudomonas aeruginosa isolates producing VEB-type extended-spectrum beta-lactamases. -Drug susceptibility testing of Mycobacterium tuberculosis against second-line drugs using the Bactec MGIT 960 System. -Expression, purification, crystallization and preliminary X-ray diffraction studies of glyceraldehyde-3-phosphate dehydrogenase 1 from methicillin-resistant Staphylococcus aureus (MRSA252). -Study of metallo-beta-lactamase production in clinical isolates of Pseudomonas aeruginosa. -Occurrence of ESBL & Amp-C b-lactamases & susceptibility to newer antimicrobial agents in complicated UTI. -Pneumonia in a traveller coming back from Asia. -Rising prevalence of enteric fever due to multidrug-resistant Salmonella. -Risk factors for antibiotic-resistant E. coli in children in a rural area. -Status of high level aminoglycoside resistant Enterococcus faecium and Enterococcus faecalis. -Synergy of gatifloxacin with cefoperazone and cefoperazone-sulbactam against resistant strains of Pseudomonas aeruginosa. -The cost-effectiveness of typhoid Vi vaccination programs. -The influence of glucose added urine on the in vitro antimicrobial activity of various antibiotics. -Trend of antibiotic resistance of Vibrio cholerae strains from East Delhi. -Triple therapy-based targeted nanoparticles for the treatment of Helicobacter pylori. -Tigecycline in-vitro susceptibility and antibiotics' fitness for gram-negative pathogens. -Detection and identification of methicillin resistant Staphylococcus aureus. -Changing characteristics of Vibrio cholerae: emergence of multidrug resistance and non-O1, non-O139 serogroups. -Incidence of metallo beta lactamase producing Pseudomonas aeruginosa in ICU patients. -Antibiotic prescribing practices in primary and secondary health care facilities in Uttar Pradesh, India. -Mycobacterium tuberculosis interactome analysis unravels potential pathways to drug resistance. -TEM & SHV genes in extended spectrum beta-lactamase producing Klebsiella species beta their antimicrobial resistance pattern. -TargetTB: a target identification pipeline for Mycobacterium tuberculosis through an interactome, reactome and genome-scale structural analysis. -Detection of virulence genes in Vibrio cholerae isolated from aquatic environment in Kerala, Southern India. -Bacterial persistence: some new insights into an old phenomenon. -Down regulation of gyrase A gene expression in E. coli by antisense ribozymes using RT-PCR. -Novel mutations in emb B gene of ethambutol resistant isolates of Mycobacterium tuberculosis: a preliminary report. -A potential plasmid-curing agent, 8-epidiosbulbin E acetate, from Dioscorea bulbifera L. against multidrug-resistant bacteria. -RpoN gene, RAPD profile, antimicrobial resistance and plasmids of Vibrio anguillarum isolates from vibriosis infected Penaeus monodon. -Novel and potent oxazolidinone antibacterials featuring 3-indolylglyoxamide substituents. -Enhancement of the efficacy of erythromycin in multiple antibiotic-resistant gram-negative bacterial pathogens. -Zinc and antibiotic resistance: metallo-beta-lactamases and their synthetic analogues. -Changing trends in bacteriology of peritonsillar abscess. -Incidence of bacterial enteropathogens among hospitalized diarrhea patients from Orissa, India. -Moonlighting function of glutamate racemase from Mycobacterium tuberculosis: racemization and DNA gyrase inhibition are two independent activities of the enzyme. -Substituted 3-((Z)-2-(4-nitrophenyl)-2-(1H-tetrazol-5-yl) vinyl)-4H-chromen-4-ones as novel anti-MRSA agents: synthesis, SAR, and in-vitro assessment. -Antimicrobial stewardship in institutions and office practices. -Cefoxitin disc diffusion test for detection of meticillin-resistant staphylococci. -In-vitro antimycobacterial drug susceptibility testing of non-tubercular mycobacteria by tetrazolium microplate assay. -Differential expression of ompC and ompF in multidrug-resistant Shigella dysenteriae and Shigella flexneri by aqueous extract of Aegle marmelos, altering its susceptibility toward beta-lactam antibiotics. -Comparative bacteriology of acute and chronic dacryocystitis. -Extensively drug-resistant tuberculosis: current challenges and threats. -Prevalence of inducible clindamycin resistance in gram positive organisms in a tertiary care centre. -Assessment of pheromone response in biofilm forming clinical isolates of high level gentamicin resistant Enterococcus faecalis. -Incidence of carbapenem-resistant Pseudomonas aeruginosa in diabetes and cancer patients. -Evaluation of rapid MTT tube method for detection of drug susceptibility of Mycobacterium tuberculosis to rifampicin and isoniazid. -Phenotypic detection of inducible clindamycin resistance among Staphylococcus aureus isolates by using the lower limit of recommended inter-disk distance. -Prevalence of extended spectrum beta lactamase and AmpC beta lactamase producers among Escherichia coli isolates in a tertiary care hospital in Jaipur. -Empiric antibiotic therapy in children with community-acquired pneumonia. -Comparison of the radiometric BACTEC 460 TB culture system and Löwenstein-Jensen medium for the isolation of mycobacteria in cutaneous tuberculosis and their drug susceptibility pattern. -Molecular cloning, overexpression and biochemical characterization of hypothetical beta-lactamases of Mycobacterium tuberculosis H37Rv. -Molecular characterization of multidrug-resistant Shigella species isolated from epidemic and endemic cases of shigellosis in India. -Epidemiological evidence of multidrug-resistant Shigella sonnei colonization in India by sentinel surveillance in a Japanese quarantine station. -Aminoglycoside-resistance mechanisms in multidrug-resistant Staphylococcus aureus clinical isolates. -Antimicrobial resistance pattern of Neisseria gonorrhoeae isolates from peripheral health centres and STD clinic attendees of a tertiary care centre in India. -Novel structural analogues of piperine as inhibitors of the NorA efflux pump of Staphylococcus aureus. -Salmonella enterica Serotype typhi in Kuwait and its reduced susceptibility to ciprofloxacin. -Synthesis and antimycobacterial activity of 4-[5-(substituted phenyl)-4, 5-dihydro-3-isoxazolyl]-2-methylphenols. -Observations on carbapenem resistance by minimum inhibitory concentration in nosocomial isolates of Acinetobacter species: an experience at a tertiary care hospital in North India. -A simple and effective approach for the treatment of chronic wound infections caused by multiple antibiotic resistant Escherichia coli. -Cefepime and its role in pediatric infections. -Antimicrobial susceptibility profile of resistance phenotypes of Neisseria gonorrheae in India. -Stationary phase induced alterations in mycobacterial RNA polymerase assembly: A cue to its phenotypic resistance towards rifampicin. -Epidemiology, etiology, and diagnosis of hospital-acquired pneumonia and ventilator-associated pneumonia in Asian countries. -Involvement of O8-antigen in altering beta-lactam antibiotic susceptibilities in Escherichia coli. -Prevalent phenotypes and antibiotic resistance in Escherichia coli and Klebsiella pneumoniae at an Indian tertiary care hospital: plasmid-mediated cefoxitin resistance. -Cellphones as reservoirs of nosocomial pathogens. -A case of fatal acute pyogenic meningitis in a neonate caused by extended-spectrum beta-lactamase producing Salmonella group B. -Significance of isolation and drug susceptibility testing of non-Candida albicans species causing oropharyngeal candidiasis in HIV patients. -Small and lethal: searching for new antibacterial compounds with novel modes of action. -On detection and assessment of statistical significance of Genomic Islands. -A study of typhoid fever in five Asian countries: disease burden and implications for controls. -Vibrio cholerae non-O1, non-O139 strains isolated before 1992 from Varanasi, India are multiple drug resistant, contain intSXT, dfr18 and aadA5 genes. -Emerging resistance to newer antimicrobial agents among Shigella isolated from Finnish foreign travellers. -Antimicrobial protein from Streptomyces fulvissimus inhibitory to methicillin resistant Staphylococcus aureus. -Modified PAP method to detect heteroresistance to vancomycin among methicillin resistant Staphylococcus aureus isolates at a tertiary care hospital. -Detection of Enterobacteriaceae producing CTX-M extended spectrum beta-lactamases from a tertiary care hospital in south India. -Need for national/regional guidelines and policies in India to combat antibiotic resistance. -ESBLs detection in clinical microbiology: why & how? -Detection of extended spectrum beta-lactamase production in clinical isolates of Klebsiella spp. -Detection of extended-spectrum beta-lactamase in Pseudomonas aeruginosa. -Sequence analysis of bla CTX-M-28 , an ESBL responsible for third-generation cephalosporin resistance in Enterobacteriaceae, for the first time in India. -Spectrum of microbial flora in diabetic foot ulcers. -Incidence of metallo-beta-lactamase-producing Pseudomonas aeruginosa in diabetes and cancer patients. -Emergence of highly fluoroquinolone-resistant Salmonella enterica serovar Typhi in a community-based fever surveillance from Kolkata, India. -Enteric fever in Mumbai--clinical profile, sensitivity patterns and response to antimicrobials. -Diarrhoeal outbreak of Vibrio cholerae 01 Inaba in Delhi. -The role of antibiotic prophylaxis in mesh repair of primary inguinal hernias using prolene hernia system: a randomized prospective double-blind control trial. -Antimycobacterial activities of novel 2-(sub)-3-fluoro/nitro-5,12-dihydro-5-oxobenzothiazolo[3,2-a]quinoline-6-carboxylic acid. -Staphylococcus aureus ocular isolates from symptomatic adverse events: antibiotic resistance and similarity of bacteria causing adverse events. -Quinolone resistance among Shigella spp. isolated from travellers returning from India. -Pneumocephalus as a complication of multidrug-resistant Klebsiella pneumoniae meningitis. -Occurrence and detection of AmpC beta lactamases among clinical isolates of E. coli and K. pneumoniae causing UTI. -Low recovery rates of high-level aminoglycoside-resistant enterococci could be attributable to restricted usage of aminoglycosides in Indian settings. -Stomatococcus mucilaginosus meningitis in a healthy 2-month-old child. -Emergence of tetracycline-resistant Vibrio cholerae O1 serotype Inaba, in Kolkata, India. -Emergence of fluoroquinolone-resistant Neisseria meningitidis--Minnesota and North Dakota, 2007-2008. -Dissemination of clonally related Escherichia coli strains expressing extended-spectrum beta-lactamase CTX-M-15. -Metallo beta lactamases in Pseudomonas aeruginosa and Acinetobacter species. -Inhibition of DNA gyrase activity by Mycobacterium smegmatis MurI. -Role of beta-lactamase inhibitors in enterobacterial isolates producing extended-spectrum beta-lactamases. -High nasopharyngeal carriage of beta-lactamase-negative ampicillin-resistant Haemophilus influenzae in north Indian school-going children. -The yejABEF operon of Salmonella confers resistance to antimicrobial peptides and contributes to its virulence. -Pre-admission antibiotics for suspected cases of meningococcal disease. -Resistance in gram-negative bacilli in a cardiac intensive care unit in India: risk factors and outcome. -Microbiological profile of donor corneas: a retrospective study from an eye bank in north India. -Preparation & characterization of solid inclusion complex of cefpodoxime proxetil with beta-cyclodextrin. -High level ciprofloxacin resistance in Salmonella enterica isolated from blood. -Changing patterns of Vibrio cholerae in sevagram between 1990 and 2005. -Piperine analogs as potent Staphylococcus aureus NorA efflux pump inhibitors. -Rising standards for tuberculosis drug development. -Transcriptional activation and increased mRNA stability contribute to overexpression of CDR1 in azole-resistant Candida albicans. -High rate of detection of high-level aminoglycoside-resistant enterococci from urinary tract specimens in South India. -Orthodox and unorthodox clavulanate combinations against extended-spectrum beta-lactamase producers. -Prevalence and clonality of extended-spectrum beta-lactamases in Asia. -Evaluation of the probiotic characteristics of newly isolated lactic acid bacteria. -Antibiotic Resistance Pattern of Shiga Toxin-producing Escherichia coli Isolated from Diarrheic Calves in Gujarat,India. -Detection of conjugative plasmids and antibiotic resistance genes in anthropogenic soils from Germany and India. -Diversity of root associated microorganisms of selected medicinal plants and influence of rhizomicroorganisms on the antimicrobial property of Coriandrum sativum. -Multiple antibiotic resistance patterns of rhizospheric bacteria isolated from Phragmites australis. -Antibiotic use, environment and antibiotic resistance: A qualitative study among human and veterinary health care professionals in Orissa, India. -Multiple antibiotic resistance patterns of rhizospheric bacteria isolated from Phragmites australis growing in constructed wetland for distillery effluent treatment. -In vitro activity of eugenol, an active component from Ocimum sanctum, against multiresistant and susceptible strains of Neisseria gonorrhoeae. 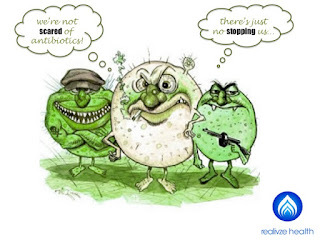 -Synergism between natural products and antibiotics against infectious diseases. -Phosphinothricin resistance in Aspergillus niger and its utility as a selectable transformation marker. -Utility of lytic bacteriophage in the treatment of multidrug-resistant Pseudomonas aeruginosa septicemia in mice. -Conjugative plasmids in multi-resistant bacterial isolates from Indian soil. -Selection of genes of Mycobacterium tuberculosis upregulated during residence in lungs of infected mice. -Contamination of potable water distribution systems by multiantimicrobial-resistant enterohemorrhagic Escherichia coli. -Antibacterial activity of some medicinal plant extracts. -Prevalence and characterization of Salmonella enterica serovar Weltevreden from imported seafood. -Utilization of Bombyx mori larvae as a surrogate animal model for evaluation of the anti-infective potential of oxazolidinones.